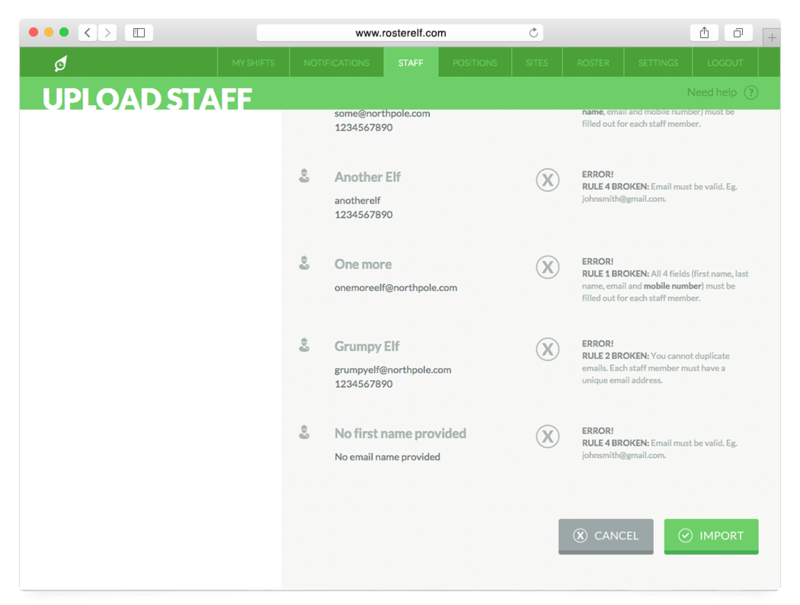 How can I upload my staff list? Click on the "Staff" tab and you will notice at the top right of your screen an "Import Staff" button. 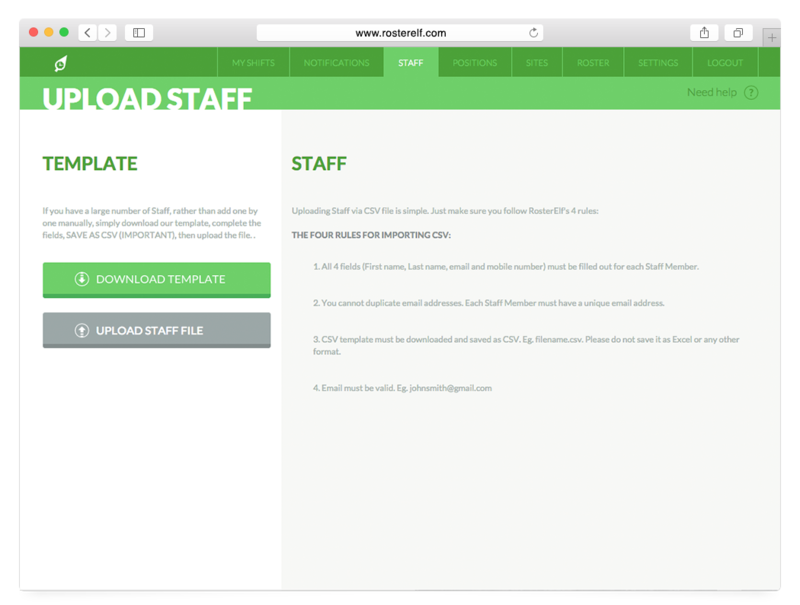 Next, download the template by clicking "Download Template" button on the left of screen. 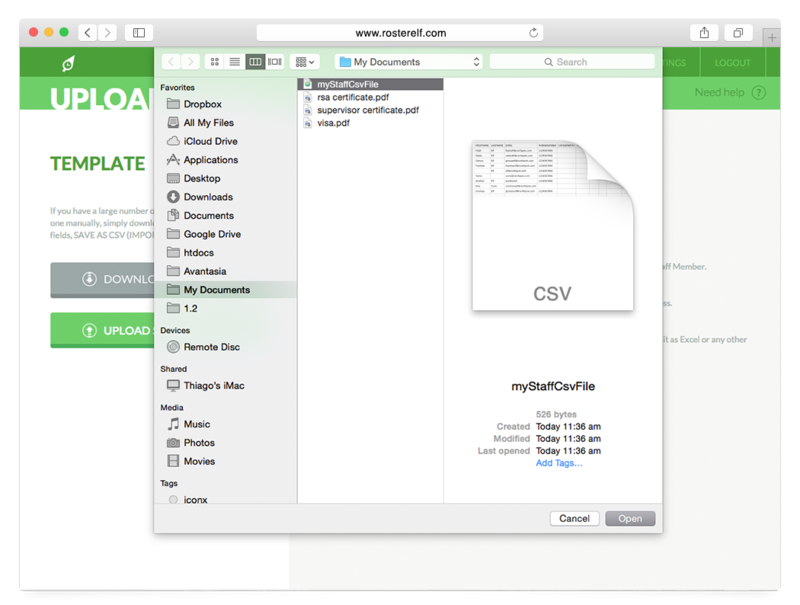 Open the downloaded CSV file and populate all the fields. 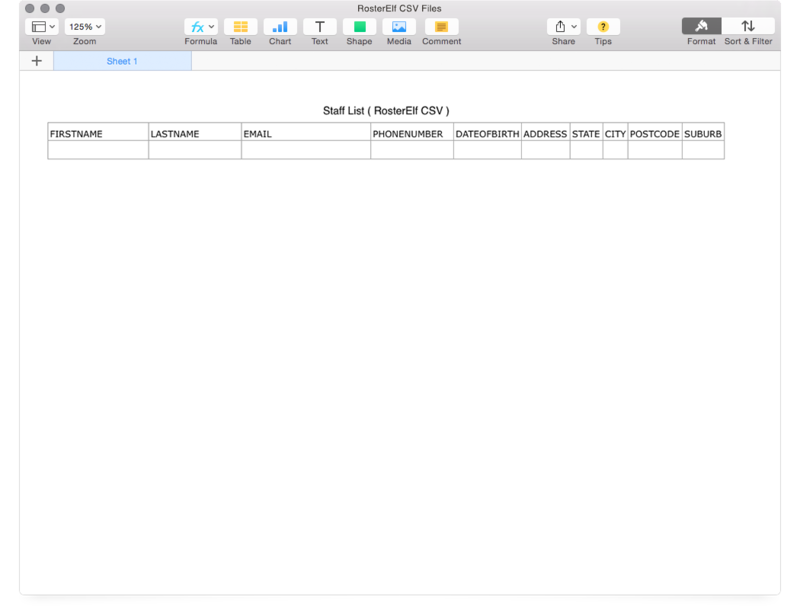 Once complete, simply save the file as CSV. NOTE: It must not be saved in any other format for RosterElf to accept the file. Excel etc not accepted. 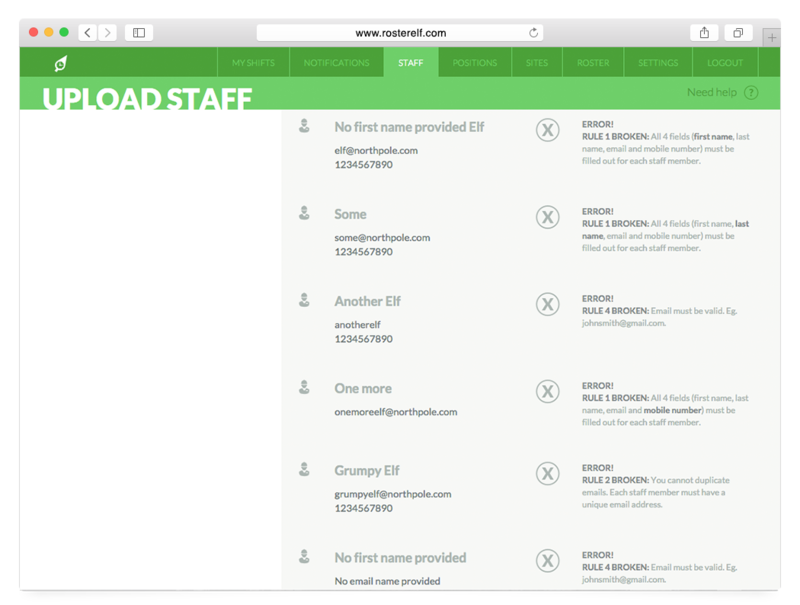 Click on "Upload Staff File" in RosterElf. 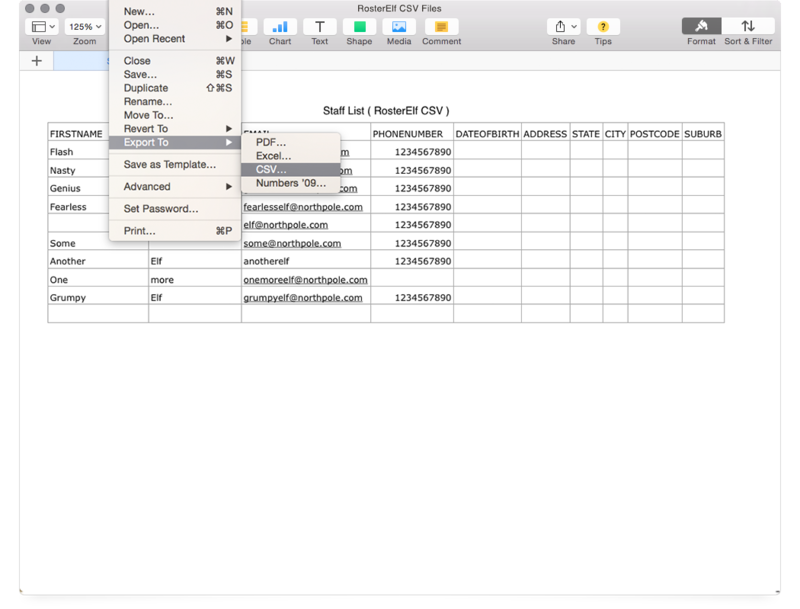 Then, select the CSV file from the location you saved on your PC and click "Open." 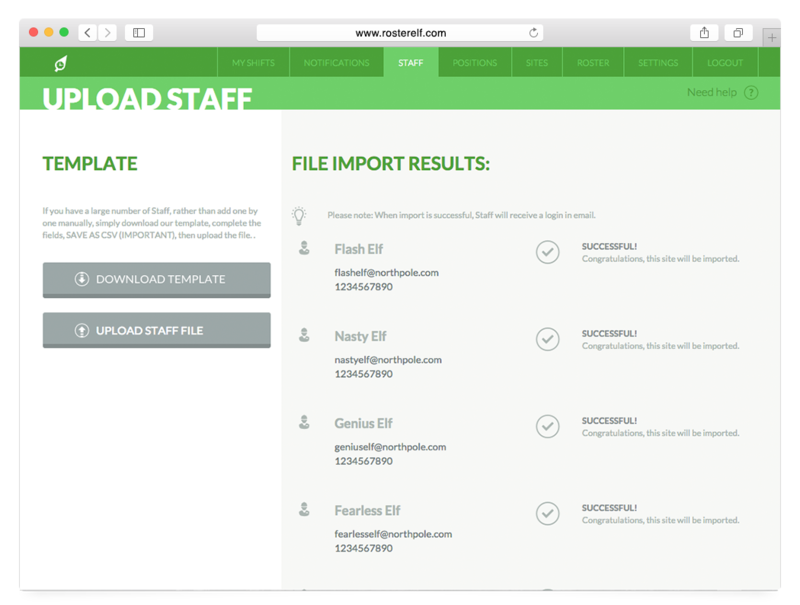 RosterElf will generate a report similar to below to display staff details that have been imported. If any staff were unable to be uploaded, RosterElf will display "Error" messages similar to example below. In this case, you will need to go back, fix the CSV file and try again. Once you are happy with report of staff to be imported, simply click the "Import" button on the bottom right of screen.